Oddly enough, my first experience with Stumptown was in New York rather than in Portland. Well, with the way specialty coffee is expanding as an industry, I guess it isn’t all that odd. 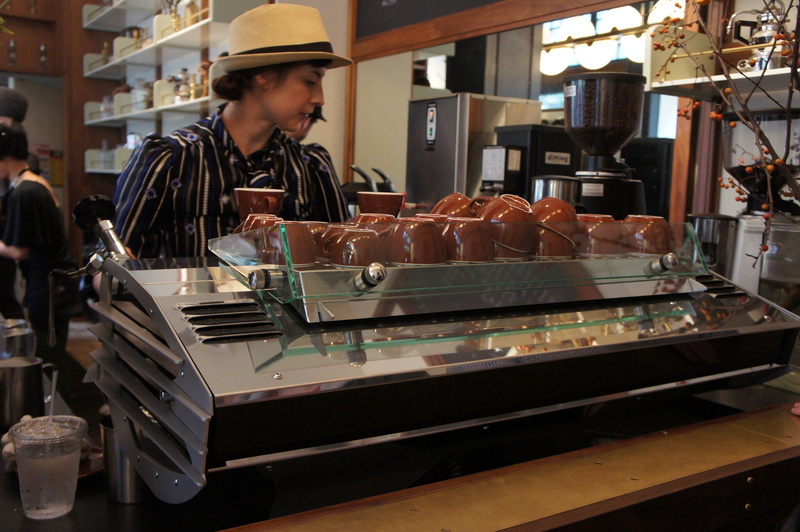 Stumptown sets an precedent when it comes to roasting, service, technique, and products off the bar; simply, they are household name for good reason. 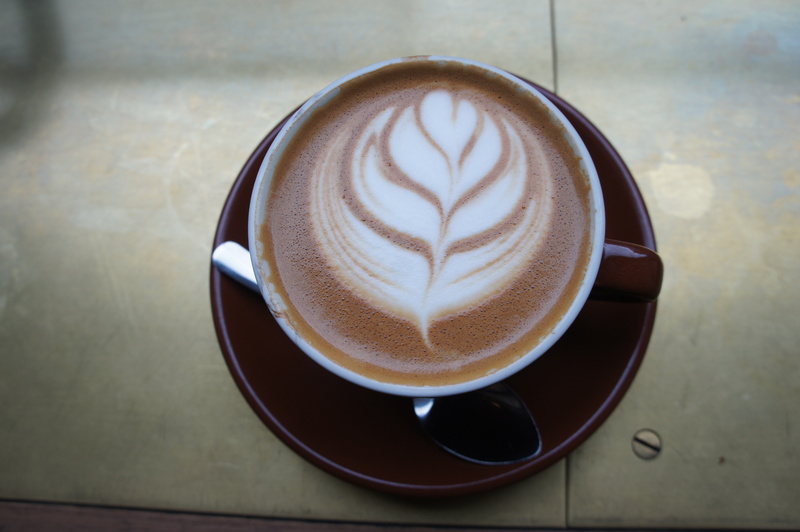 But despite even on the East Coast, Stumptown still has a very “west coast coffee” vibe to it in both the style of coffee preparation and the “Portland” circa 1920s Speakeasy (or something) motif. Two things really struck me about this store in particular, neither of which specifically pertained to the coffee itself. Nonetheless, this location had a few notable features I found personally fulfilling. First, it is conveniently attached to the lobby of the Ace Hotel. While the coffee bar and store are aesthetically attractive, the character of the hotel complements the aesthetics of Stumptown quite nicely. Moreover, this additional sitting area makes peacefully enjoying your coffee and conversing with your friends in the busy city that much more convenient; it’s nice when you don’t have to fight for seats like other specialty coffee stores in Manhattan that serve the “high-end” urban bean-craving clientele. Second, I was stoked they were using a La Mistral when I visited. Not sure if they have changed machines since them. Partly because I am a sucker for certain espresso machines, this made my experience much more exciting: (a) I knew the espresso would be killer and (b) it let me know the guys at Stumptown were being very deliberate regarding the design and level of sophistication of the bar. Wins all around. Of course, what positive things can’t be said about their coffee? The Kenyan pour over we tried had a great flavor, fruity but not sweet or overly fragrant while also refreshing like juice. The cap was smooth and the milk had perfect consistency. The espresso had a bitter, “classical” flavor that was heavy and lingering in the cup. May not be everyone’s favorite, but I enjoy all types of espresso from the “bright” 3rd wave elixir to what I call the “2.5 wave” espressos which generally have a pronounced body and distinctly nutty flavor. Midway through our conversation after trying my cap, my good friend who is not a regular coffee drinker exclaimed “damn, that’s good!” Yup, it’s that good. 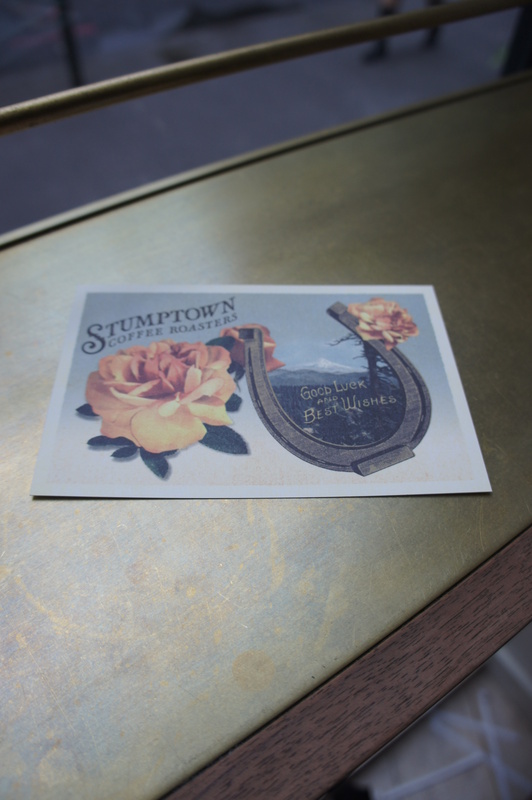 Whther you are an urbanite looking for a good brew or a westcoast coffee type who is craving something from home, Stumptown is a go-to for everyone.